Quality management at Transcat isn't simply a single event, but rather an ongoing process of training, assessment and improvement. We have made it a priority to invest in the personnel, training and assets necessary to continually provide the most consistent and trustworthy calibrations. How can you be sure of Transcat's Calibration Accuracy? We maintain centrally controlled datasheets and calibration processes that are used across all our labs and technicians. Unlike our competitors' calibration process that will differ for the same instrument depending on the lab and tech that performed the work. We double- and triple-check unexpected results, guaranteeing correct measurements while ensuring minimal disruption because of out-of-tolerance results. Transcat's quality systems are ISO 9001:2000 compliant. We continually seek to improve the effectiveness of our processes. Transcat's dedicated Quality Team of 16 provides constant oversight and works to continually refine our calibration processes on a full-time basis. We have a dedicated team of technical writers that create the calibration datasheets used by our technicians for all our calibrations. This ensures consistency across our entire lab network. Multiple audits are performed at all our labs, from annual ISO/IEC 17025 external audits to random Daily Data-Desktop Audits and Over-the-Shoulder Technical Audits, ensuring consistent and accurate calibration processes and keeping measurement risk at an absolute minimum. Transcat invests in the best, highest quality equipment for all of our labs throughout North America. Our highly skilled technicians continually improve their skills through ongoing training. 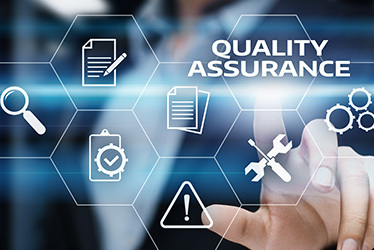 With knowledgeable experts performing the most up-to-date procedures on state-of-the-art equipment, you can be assured of the most accurate calibrations possible. Listen to what one of our customers has to say about Transcat. Bob Sutton is the Calibration Administrator for Terumo Cardiovascular.